Siddipet District is carved out of erstwhile Medak district with annexation of some parts of Karimnagar and Warangal districts. The district shares boundaries with Karimnagar, Sircilla, Medak, Medchal, Hanamkonda, Yadadri, Kamareddy, Jangoan districts. The district comprises of 22 mandals and 2 revenue divisions . 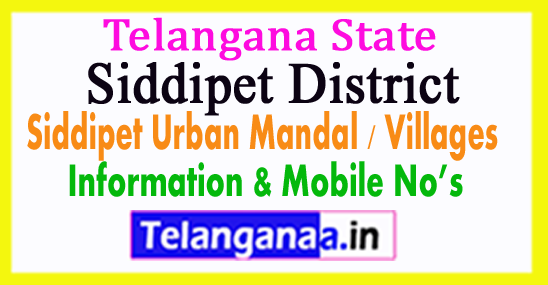 The district headquarters is located at Siddipet town. The Govt of Telangana has decided to set up a police commissionerate for the town.